The city’s food truck scene has exploded over the past year or so, and new entrants have steadily continued to join the mix. 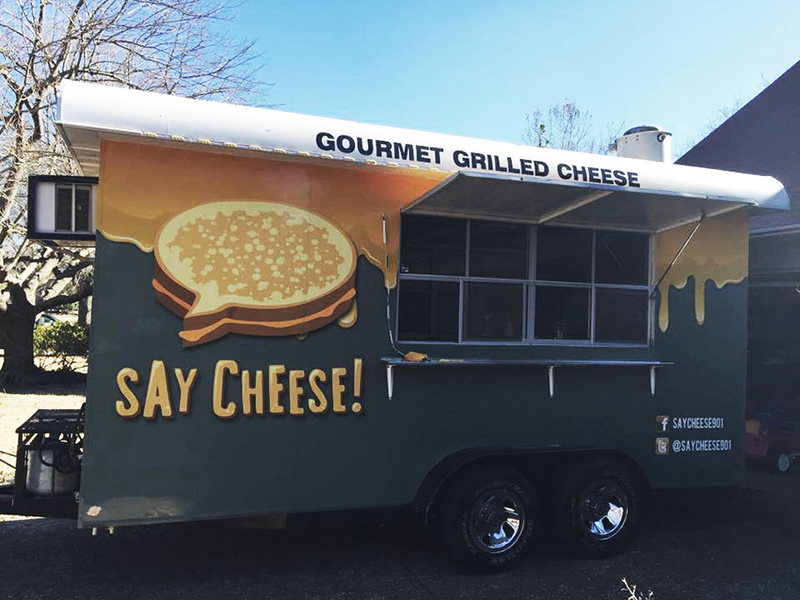 Say Cheese, a gourmet grilled cheese-focused food truck, has joined the food truck scene in Memphis and is holding a launch party Feb. 13. One of the newest, a grilled cheese-focused truck, will officially join the scene next week. The Say Cheese food truck is holding its launch party next week, adding it to the ever-expanding ranks of the city’s eateries-on-wheels. The party will be held Feb. 13 at High Cotton Brewing from 4 p.m. to 9 p.m., and the new truck’s owners and operators – the husband and wife team of Terry and Allison LaRue of Germantown – say it’s the realization of a dream they’ve had for a few years now. Terry is a Methodist Hospital paramedic, and Allison teaches at Presbyterian Day School. For some food truck owners, the truck is an extension of an existing restaurant operation, but in the case of the LaRues, the truck was born partly out of the adventurousness of wanting to try it, as well as by an interest in filling a need. “We’re good to go – nervous and excited,” Terry LaRue said. “It all started – I work nights at Methodist in the emergency room. I’m a paramedic there. We’re foodies, always cooking, and the truck started as an idea. Maybe we could do something at night for the hospital, because the cafeterias close so early. Even though the launch party comes next week, the LaRues have been participating in private events with the truck for the past few weeks. They’ve also documented their progress toward the launch via social media, such as by unveiling earlier in January their truck design on Facebook, which includes an image of bright, inviting cheese dripping from the top of the truck. The truck also includes the depiction of a large-sized, perfectly grilled cheese sandwich, as well as the name of the truck. Also over the past few weeks, meanwhile, the LaRues have used social media to tease samplings from their menu, which will include sandwiches like The Cluck Me, which has a mix of buffalo chicken and pepperjack and blue cheese. In addition to a set of sandwiches, the truck will also serve things like drinks, chips and soup. LaRue said the plan for the moment is for the truck to stay in one location for lunch, but after that they might look at changing it up. By way of preparations, the LaRues spent several months navigating through tasks that needed to be done, which included a long list of everything from making sure their trailer was up to code – they bought a used concession trailer – to enlisting help from a graphic designer. They also had to settle on a logo, a name for the truck, finalizing a wrap job for the truck, and lots more.